When temperatures are steamy and humidity is high, it’s essential to swap heavy makeup for lightweight products. · Transform While You Sleep: A favorite of celebrity makeup artists, RéVive Moisturizing Renewal Cream, $195 is a unique, lightweight repair cream works overnight to visibly repair any damaged skin caused by the powerful summer sun. 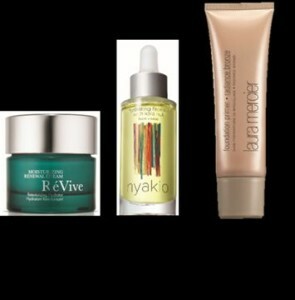 Awaken to younger-looking, smooth, luminous skin. · Swap Out Your Moisturizer: With only a few drops that are quickly absorbed, nyakio Hydrating Face Oil with Kola Nut, $49 invigorates, evens tone and reduces the appearance of lines and wrinkles for naturally healthy radiance and more youthful-looking skin. · Forgo Foundation: Laura Mercier Foundation Primer – Radiance Bronze, $33 provides a touch of sheer, sun-lit warmth. This hydrating, water-based gel kisses skin with a golden pearl tint creating a soft-focus, fresh-from-the sun finish. Self Disclosure: No compensation has been received to post. I have reviewed samples of a variety of different products from the above favorite brands in the past. Credit: RéVive, nyakio and Laura Mercier. Bracketron is running a giveaway that is geared towards all of the Dad’s out there. 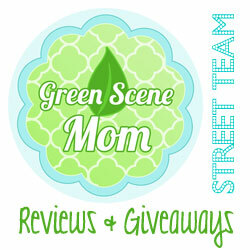 They are giving away some of thier best selling products that include in-car mounts and a few of their golf products. They recognize that not all Dad’s enjoy golfing so they wanted to include a few of their car mounts as well. Self Disclosure: No compensation was received to post this giveaway but SoCal City Kids thought our readers would be interested. SweetXO shops have something for everyone! Yummy Frozen Popcorn, Cake Bombs, Frozen Yogurt and so much more! Have you been to a SweetXO shop yet? If you haven’t, this is somewhere you should go to this summer! SweetXO is a modern day malt shop, a place for kids and adults alike to escape and enter a whimsical wonderland of color, style and fun. SweetXO is a haven of happiness, an eye-popping destination for frozen yogurt, eclectic and gourmet toppings, house-made ice cream, delectable baked goods, rows and rows of retro candy bins and a wide and surprising array of hand-sourced fashion and décor items for men, women and children. There really is something there for everyone! My son just loved the frozen yogurt and all the different toppings but he also loved all the candy! I just had to try the Frozen popcorn and it was yummy! It’s just a really fun place to visit! I was amazed that they even have bath bombs and bath salts for Mom! We visited the Manhattan Beach location but they also have other locations. ( Photos below are of another location but are similar). We definitely will be going back again! Self Disclosure: We received gift cards to visit for free but any opinions expressed are truthful and we had a delightful visit. Photo Credit: SweetXO. Hasn’t every little girl imagined herself as a princess at some point in time? This sweet movie stars the adorable Sophia Grace and Rosie who are sent to Switzelvania by The Ellen DeGeneres Show as correspondents tasked with covering the coronation of a new queen. The show is silly but fun, upbeat and happy. Just the thing to share with your kids and grandkids this summer. KIDS FIRST! Film Critic Haley P., age 11, comments, “It is similar to the Cinderella story because Abigail has two girls looking out for her as if they are her fairy godmothers. This movie is definitely an exciting royal adventure.” See her full review below. The movie Sophia Grace & Rosie’s Royal Adventure reminds me of a Cinderella fairy tale. There are two bratty sisters and a very innocent one named Abigail. It is similar to the Cinderella story because Abigail has two girls looking out for her as if they are her fairy godmothers. This movie is definitely an exciting royal adventure. The story begins when Sophia Grace and Rosie are sent on a special assignment to meet the princesses of Switzelvania to see which one will be crowned Queen. However, they loose their guardian and become mistaken as the King’s great grand nieces. They end up having to teach the King’s daughter, Princess Abigail, the ways of being a real princess. In the process, they get thrown into a dungeon because the bratty princesses (Abigail’s sisters) don’t want her to become Queen. However, at least they have their secret weapon. To find out what that is, you will have to watch the movie. In the end, everyone gets what they deserve! My favorite part is when the security guard tells the guardian, Phyllis Bunt (Amy Louise Wilson) that she can get out of jail if she reveals her true identity. She gives a made up name of Dynasty Composition knowing no one believes her real identity anyway. However, the security guard lies and won’t let her out. Phyllis then jumps the security guard, ties her up and duck tapes her mouth. I didn’t see that coming! It was hysterical. All the characters are great, especially Princess Cordilla (Emma Pierson) one of the princesses who makes fun of Abigail. She has a funny voice and isn’t very smart and plays the part well. The main idea of this movie is that if you believe in yourself, you can make anything happen. I recommend this movie for kids ages 5 through 12. Specifically, girls will enjoy this movie, as every girl wants to imagine herself as a princess at some point. Therefore, I rate this movie a four out of five “dazzling” stars! 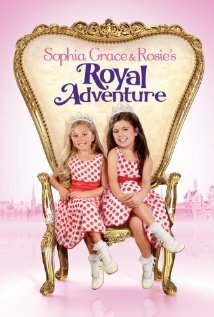 Sophia Grace & Rosie’s Royal Adventure is available now on DVD. Personalize Your SensoGlove – World’s First Digital Golf Glove Perfect for Father's Day! WORLD’S FIRST DIGITAL GOLF GLOVE NOW AVAILABLE FOR CORPORATE PROMOTIONS & GIFTS WITH LOGOS & MONOGRAMS! Available in Quantities of 50 or Less, SensoGlove is the Perfect Promotional Gift for Corporate Retreats, Charity Golf Outings, Birthdays, & Dads/Grads. This would make a great upcoming Father’s day gift! 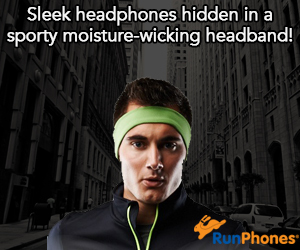 We received one to try out and are quite impressed with the quality and that it actually works as well as it sounds! It really is quite accurate and helpful in the game of golf. This would make a great Father’s Day gift for those Dads who like to play golf. 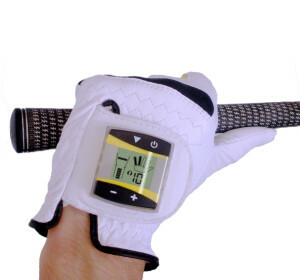 No need to buy golf lessons with the SensoGlove, you have your own personal trainer! The best thing about the SensoGlove is the visual feedback. It really is quite helpful! Works as a Personal Golf Trainer to Avoid Bad Golf Habits with LED Digital Monitor Patented, Corrects “Death Grip” for More Accurate & Powerful Golf Swing. Sensosolutions www.sensoglove.com, a leading provider of innovative IT systems for sports analysis, motion and performance measurement, announced today that SensoGlove, the world’s first digital golf glove, is now available customized with corporate, sports team or other logos and monograms for promotions and personal or company gifts, just in time for Father’s Day, graduations and the summer golfing season. Available in quantities of 50 or less, SensoGlove is a popular promotional gift for corporate retreats, golf charity outings, golfing fans’ birthdays, dads/grads and more. SensoGlove brings digital training to golf with an “Automatic Sensitivity Selection” button that provides an more accurate pressure reading for a consistently smooth and powerful golf swing providing greater distances and lower scores. Patented, SensoGlove was developed based on feedback from international PGA professionals. The perfect gift for Father’s Day for golf lovers of all levels, SensoGlove works as a personal golf trainer, featuring a small, sweat-proof 1.2-inch LED digital monitor that analyzes the pressure of the swing through highly responsive sensors placed throughout the glove. By swinging the golf club, SensoGlove provides real-time audio and visual feedback at 80 times per second to warn you if you exceed your target level of grip pressure. SensoGlove even shows you which fingers are gripping too tightly, so you can adjust your grip accordingly. SensoGlove is made of the highest quality cabretta leather. It trains golfers to avoid bad habits and injury and quickly shows them how to hold the club, improving every part of their game, from backswing, downswing, impact, follow-through, to driving, putting, and chipping. The customizable SensoGlove with logo or monogram is available immediately at www.sensoglove.com for a low fixed price. The original SensoGlove (without logo) is available with retail pricing at $89 through www.sensoglove.com, distributors, sales partners, and golf schools around the world, including www.GolfStoreHome.com, www.Intheholegolf.com, www.Convenientgadgets.com, and Shankmeister.com. Made of cabretta leather, SensoGlove is available for men and women in right or left hand configurations sizes small to x-large. The built-in digital monitor can be removed to use SensoGlove as a regular golf glove (replacement gloves are also available for $22.48). For more information, please visit www.sensoglove.com. Sensosolutions GmbH is a leading German-based company specializing in the development of highly innovative IT systems for sports analysis, motion, and performance measurement. Sensosolutions is the creator of SensoGlove, the first and only golf glove with built-in sensors that constantly read the pressure of your grip. SensoGlove teaches you the correct grip pressure for a smooth, consistent swing that delivers greater distance, enhanced precision and lower scores. For more information, see www.sensoglove.com. Self Disclosure: We received a product sample to facilitate this feature but any opinion expressed are our own and may differ from yours. Photo Credit: SensoGlove. Summer is just around the corner and its time to learn some tips and tricks to help get your kids into reading! Taking turns to read aloud with your child; offering incentives such as staying up past bedtime – providing that time is spent reading; and playing word games in the car are some great ideas! Another idea is the importance that book series can play – for many new readers, finding books that pique their interest can be the beginning of a lifelong love of reading!! Silver Dolphin Books has a few fun ideas for you with the launch of six new interactive apps based on their popular Totally Monster and Pretend & Play book series, created in partnership with Skyreader Media Inc. The new immersive and interactive e-books for the Apple® iPad®, for ages 5 and under, provide next generation storytelling featuring bright bold colors, fun animations, and great audio! Each of the six titles listed above are available as hard-back books too! The Totally Monster book series features fun, feel-good flaps and surprises on each page. Here’s a fun color spread inside Totally Monster: Feelings featuring the horribly adorable illustrations! Available at www.silverdolphinbooks.com. 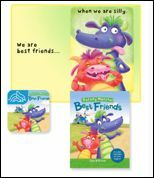 And in the Pretend and Play series, each book comes with four fun shaped puzzle pieces to play with and fit into the scene. Each title features a fun pop-up at the end, just like the one shown here, and with a built-in handle, this kit is handy for grab-and-go fun. · Follow them on Twitter @SilverDolphin for all of their latest news and updates! · Visit their blog, which is full of fun information for parents and kids. · Sign up for their newsletter. Deadline to enter is June 14th, 2014 at noon. One winner will randomly be selected from all entries. Self Disclosure: No compensation has been received to sponsor this giveaway. Credit: Silver Dolphin Books. Finally there is a way to keep lunches cold! The best thing is that no ice packs are even needed! Introducing PackIt! This lunch bag is the one and only freezable cooler that keeps food and drinks cold for up to 10 hours—no ice packs needed! We received one to try out and it really does work. I was impressed! It’s really easy to use..you simply place it in the freezer overnight, pull it out in the morning, pack and go. 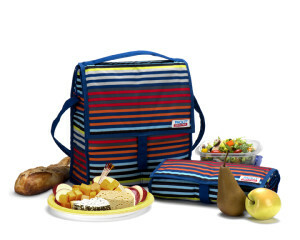 This is perfect for summer camp, trips to the beach and more. I can’t wait to take this with us on summer outings! It really is a must-have this summer! They have some really cool designs too. We received a really cool one with planets on it. 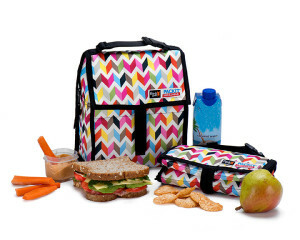 For more information and to purchase your own lunch bag, check out the website. PackIt is the one and only freezable cooler that keeps food and drinks cold on the go for up to 10 hours-no ice packs needed! Each bag is foldable and has a patented freezable gel built into its lining so the entire cooler can be stored in the freezer overnight. Simply pull it out in the morning, pack up and go. Its frozen walls create cold inside the bag and even chill room-temperature items in about an hour. PackIt’s coolers for lunch, wine, baby bottles, shopping, picnics and more are sold in over 20 countries worldwide and at better US retailers. For more information, visit packit.com. Self Disclosure: I received a free sample to facilitate this review but any opinions expressed are truthful. Today is the last day of school for us! That means Summer is unofficially here for us! There are just a few things I really need for Summer: Sunglasses are a must, cool and stylish shorts and tops and of course, Flip Flops! (Sunscreen is a must too, of course!) Mark has you covered with the stylish accessories! Here are a few of my new favorites! 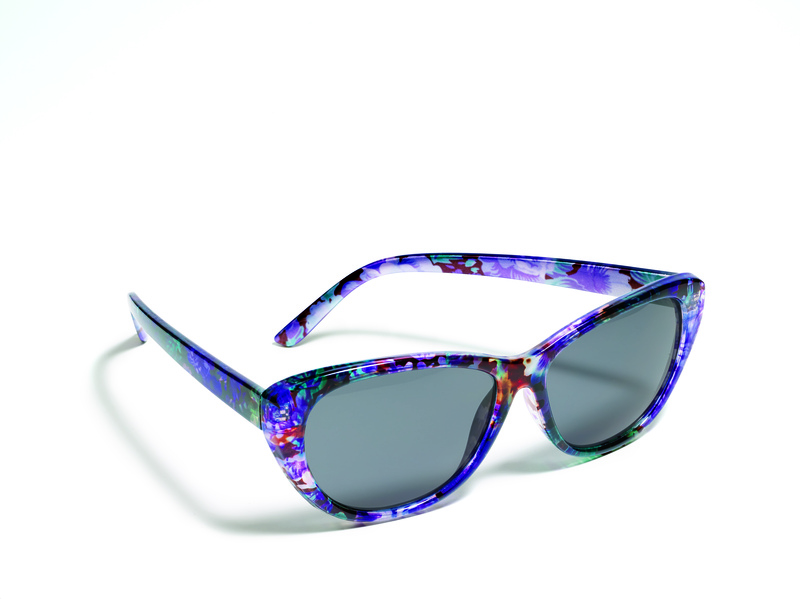 The Mark Get in the Shade Sunglasses really are a summer-must-have! I love the style & color of these cool shades! I know I will be wearing these a lot this summer. 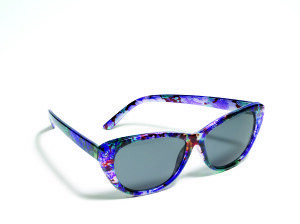 I really like the Cat eye & floral print and they provide UV 400 protection. Retail for $18. The Mark Berry Breeze Blouse is just perfect to wear with almost anything! I like wearing it with shorts but it would also go great with skirts and jeans too. I really like the beautiful bright color and the flattering draping style. Retails for $32. The Mark Nail This Look Nail Lacquer and Flip Flop Set is a big Summer-Must-Have! The Flip Flops are so comfy and are stylish with embellished coral-colored faceted faux stones. Also included are the nail polish shades Azura matte-clear water blue, and Nudist, a matte, bare-it-all beige. 10 pedicures in each mini-bottle! Retails for $28. You can find these and many more summer styles and accessories at mark. Self Disclosure: I received samples for free to facilitate this feature but any opinions expressed are my own and truthful. Photo Credit: mark.